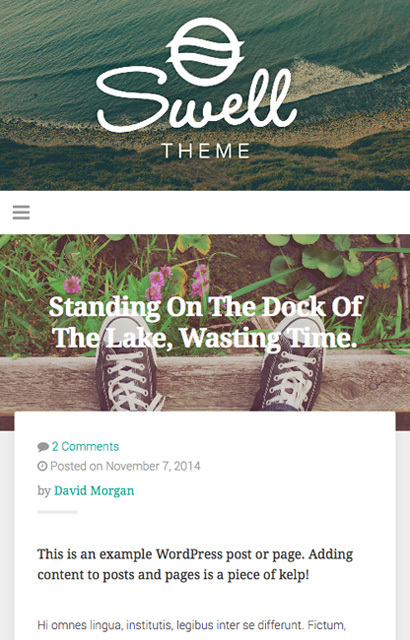 A beautifully minimal free blogging theme with a 5-star-rating and 30,000+ downloads. Swell Lite boasts an ultra clean design and extremely well commented and formatted code. 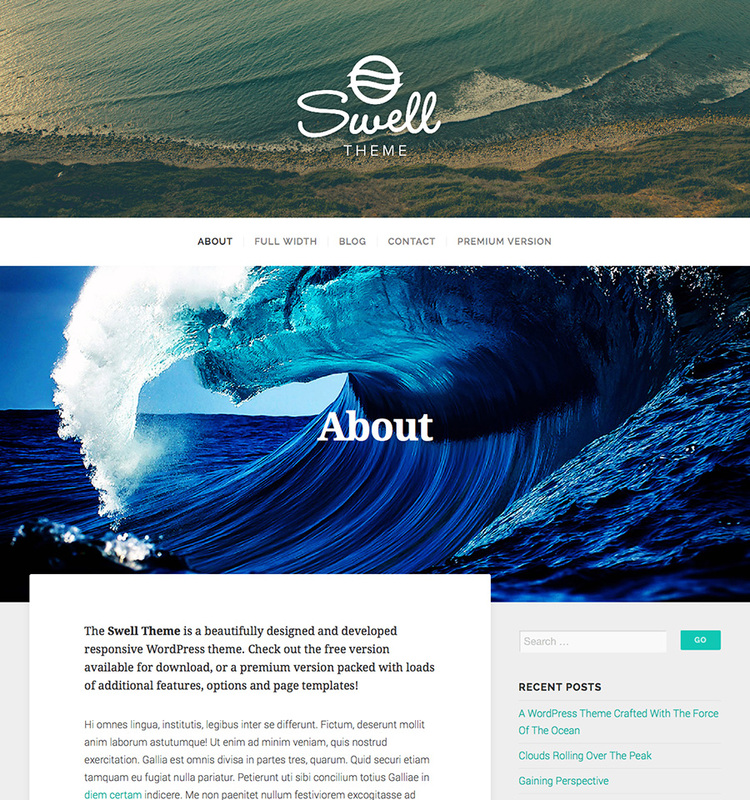 Download the free theme, or start your website instantly with Swell Lite using Organic Hosted. Swell Lite is ridiculously easy to setup using the WordPress customizer, making it an excellent solution for bloggers. The theme was crafted with WordPress.com standards in mind, and it’s consistently updated and maintained within WordPress theme repository. Budding theme designers and developers will appreciate picking this theme apart to see the attention to detail we use in the construction of every Organic Theme. Theme support is not included with Swell Lite, but there is a premium version of Swell available for sale on our site that includes support, documentation, several additional page templates, features and options. Start building your website with the Swell Lite!